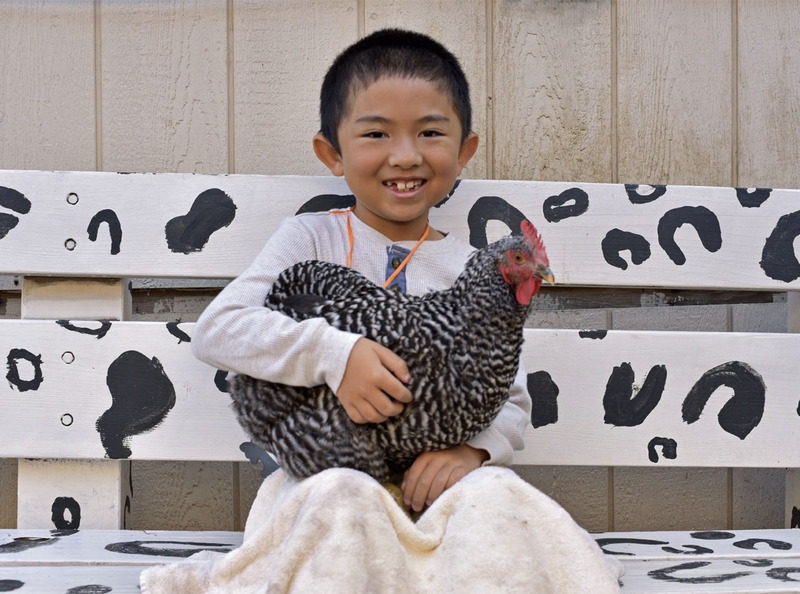 Create new memories during a customizable animal encounter at Helen Woodward Animal Center! This educational opportunity is a perfect activity for any animal lover and works well with playgroups, youth groups, 4H groups, home school groups and families. You will not only get hands-on animal interactions but will also gain a better understanding of our furred, feathered and scaled friends. 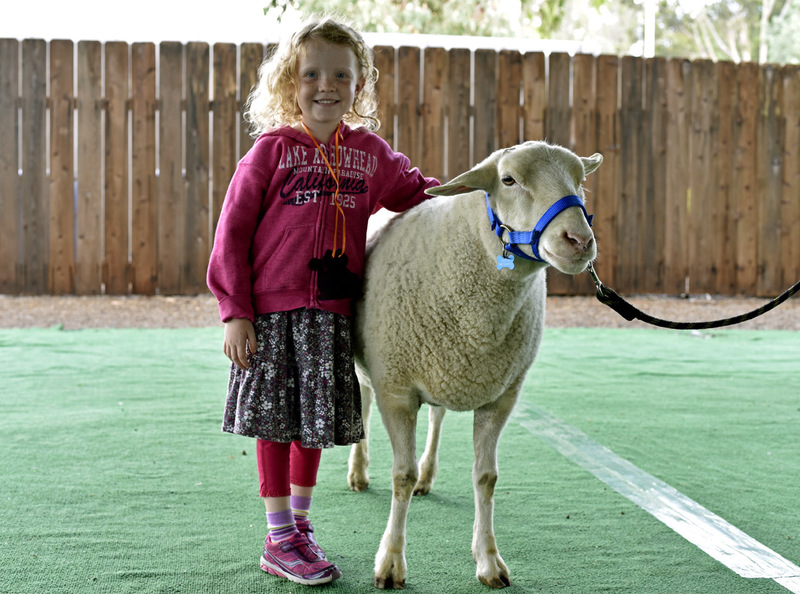 To book your interactive animal encounter in San Diego, call 858-756-4117 ext. 318 or email education@animalcenter.org. We have multiple times available during the week or on weekends. Adults are admitted free for the purpose of supervising children. The chaperone to child ratio is 1:5. Extra adults are $5 each. Animal interaction is dependent upon animal health and safety. Must be at least 5-years-old to pet reptiles. 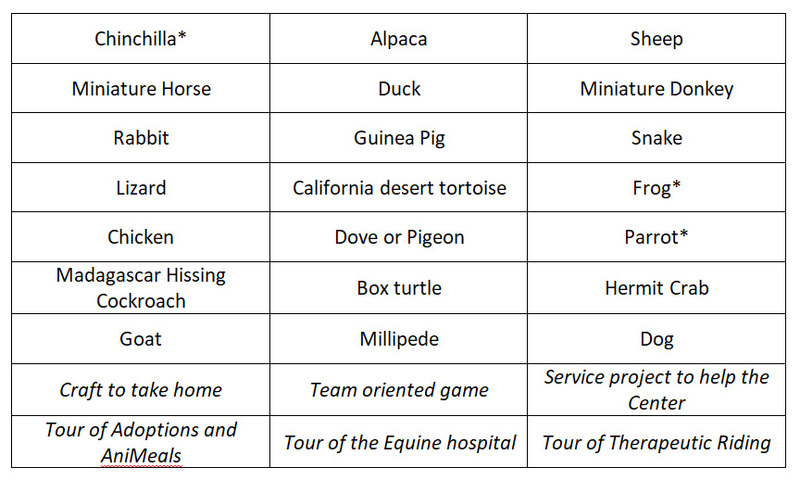 NOTE: If you are interested in a combination of animals & activities other than the one listed for your level of adventure, please let us know and we will do our best to accommodate your request. All encounters require a $75 non-refundable deposit when booking your appointment. The total cost, minus the deposit already paid, will be settled at the completion of the adventure based on participant count. If you have questions please give us a call at 858-756-4117 ext. 318 or email education@animalcenter.org.